Drawing on the bright colors and high-gloss of Italian contemporary style, this Kitchen Suite (by Lago) takes minimalism to a new level. Wall-mounted structures maximize floor space and results in a slick, geometrical pattern reminiscent of pixelated video games. The concept is striking, yet new and practical. The mid-century design theme is making a comeback. 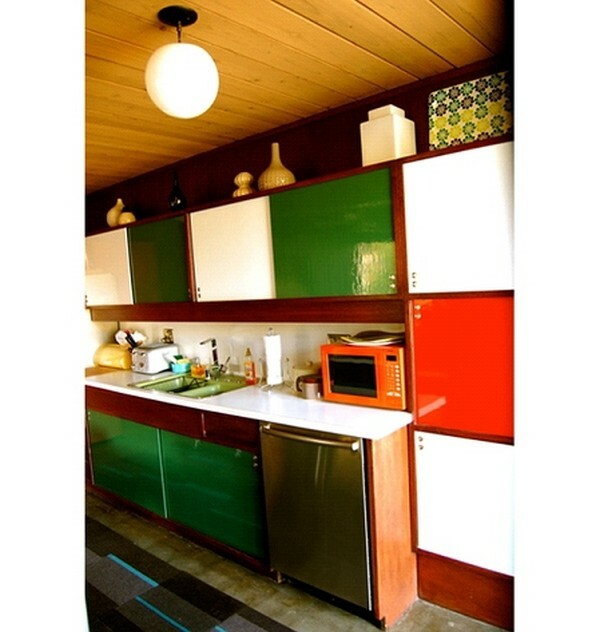 These are mid-century cabinets in an original southern Californian home. The homeowners refinished the cabinet doors in bright orange and green to make them even more attractive. They also sanded and stained the wood trim, then installed original mid-century light fixtures to complete the look. This kitchen blows me away and probably you too. The Isola Linear (by Toyo) features cantilevered structures for a kitchen that seems to be stacked yet floating at the same time. 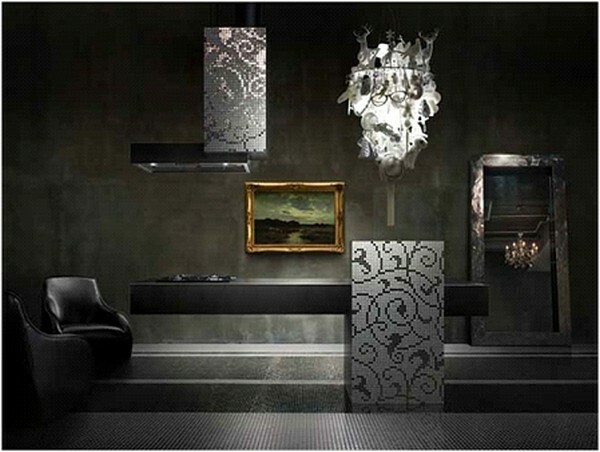 Cabinets are finished with Venetian glass mosaics and five types of etchings. It can come with a complimentary chandelier and a standing mirror too. 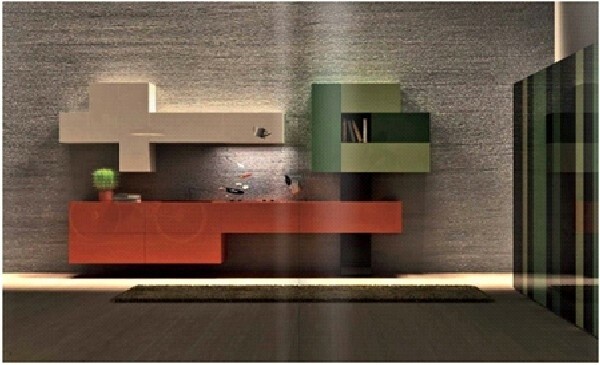 Okay, this is my favourite: these fascinating concept kitchens sometimes do away with cabinetry. Designed for homes of the future, these kitchens are compact, curved yet outstandingly efficient. Some even grow their own food. 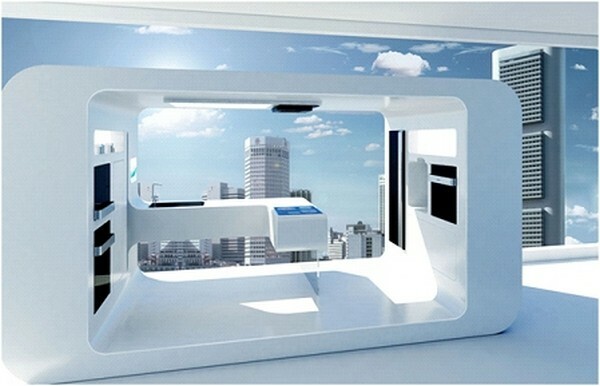 Probably the best example is the Futuristic Kitchen by Ora-Ito which went on tour across Europe in 2007, stopping in historical city centres to give passersby a glimpse at high-tech design. Contemporary rustic offers the best of both worlds for those who cannot decide – or want to live countryside life in the city. The idea is simple: merge rustic furniture with the clean lines, sleek design and modern technology. This kitchen from Apartment Therapy does just that. 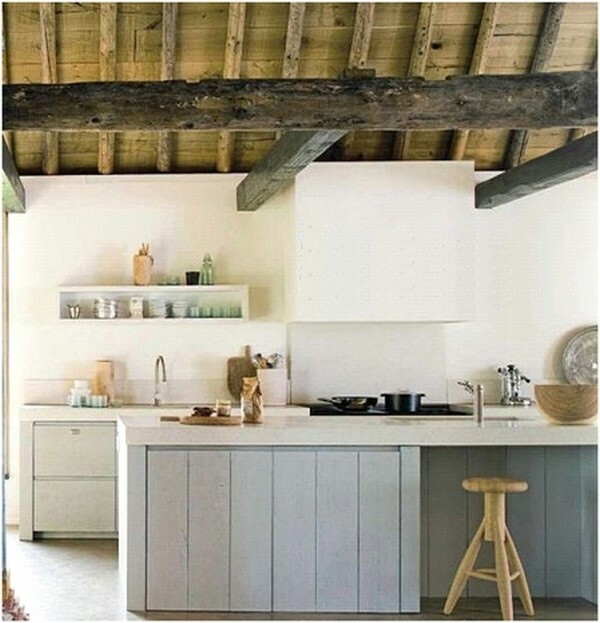 Wooden beams from old-growth trees shelter a bright kitchen with contemporary-style cabinets. A simple stool ties the whole look together. 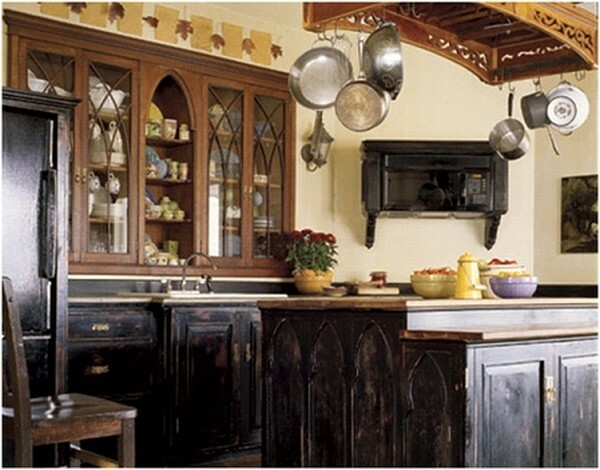 Besides shabby and rustic, Arts & Crafts kitchens are making a comeback too. 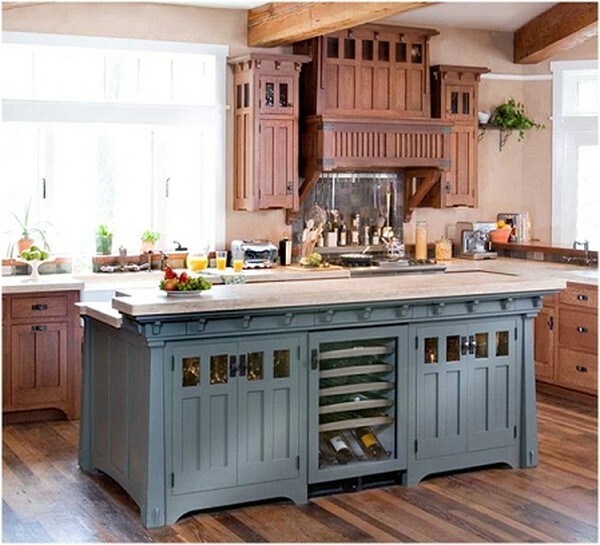 Unlike the cookie-cutter cabinets in many homes, the Arts & Crafts style is famous for durability, rich details and a craftsmanship that has survived for centuries. This kitchen by Crown Point contrasts a pale blue kitchen island with fantastic artisan cabinets and matching range hood. Gothic kitchens are hard to get right. Delve too deeply, and you could end up with coffins for cabinets. Keep it chic, on the other hand, and you’ll get arched glass-front cabinets like the ones above. The owners of this kitchen hand-stained their cabinets before meticulously texturizing them with steel wool. They even installed dark wood trim around the microwave and refrigerator to keep everything antique-style. Now that’s dedication. you can place an ole difle cabinet in your kitchen in very shocking color to add cheerful atmosphere. 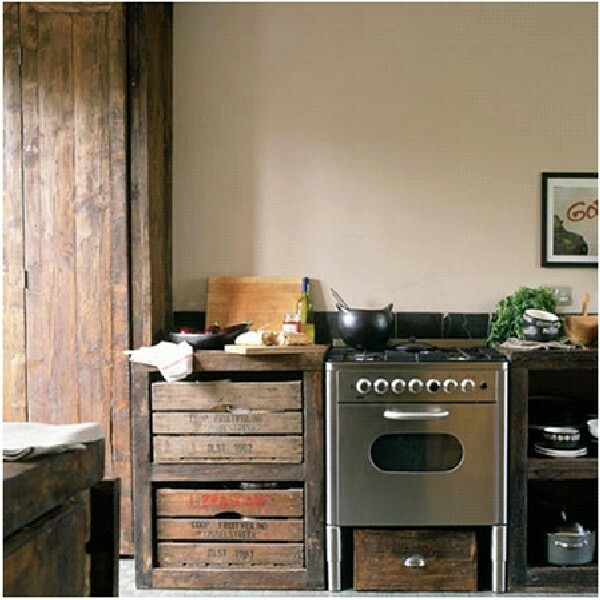 I think, you will have a very good and shocking kitchen if you place a remodel or repaint old steel file cabinet. Hey there! I simply would like to give you a big thumbs up for your excellent information you’ve got right here on this post.